Each November, high-powered and high-achieving women from every part of the world and every industry, gather for the premier ideas forum for women leaders: TEDWomen. Regardless of where you are in your career; it’s a place where you can connect with the top CEOs, workshop your latest digital strategies with politicians and activists, and learn the newest management and leadership skills. Here are the five reasons why TEDWomen is a must-attend event of the conference line-up. TEDWomen attracts some of the most in-demand speakers around the world. While names like Stacey Abrams, Cecile Richards, William Barber, and Marian Wright Edelman jump off the program page, TEDWomen also brings in extremely successful names in a wide range of industries, with a new focus on social activism and science. 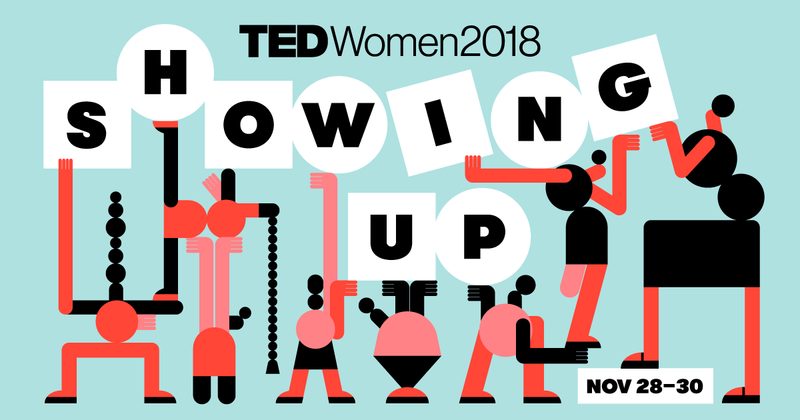 But unlike other conferences, you’re not just there to be a face in the crowd; TEDWomen focuses on finding ways for attendees to meet and work with speakers, through workshops, networking events, and breakout sessions. During the year of the woman, it was fitting that this year’s lineup featured a number of political and social activists, from MeToo Founder Tarana Burke to the legendary civil rights and workers’ rights leader Dolores Huerta, who reminded women that, “We have power…but in order to achieve the peace that we all yearn for, then we’ve all got to get involved.” Georgia governor candidate Stacey Abrams then stole the show on the final day, urging women to be “aggressive about their ambition.” She urged the audience to ask three questions about everything we do: What do I want? Why do I want it? And how do I get it? Unlike other conferences, which tend to only focus on one industry or field, TEDWomen brings in a broad range of speakers to share their most exciting ideas, including in the hard sciences. The conference’s founders believe that the best way to empower women is to lead by example, introducing women to pioneers in traditionally male-dominated industries. The 2018 lineup included talks from roboticists, quantum physicists, biologists, and tech leaders, speaking about AI, genomics, machine learning, and the other innovations that will change our world: from combating climate change, to eliminating human error, to revolutionizing the very concept of memory. For the first time, TEDWomen launched a new two-day, pre-conference leadership initiative to help attendees transform their inspiration into action. The TEDWomen Leadership Intensive offers leaders from all stages of the careers a crash course in real leadership skills that they can use, even after the conference ends. The program includes speaking sessions on key leadership skills such as relationship building, stress alleviation, and professional storytelling, featuring top thinkers, business leaders, and changemakers. The initiative also includes opportunities for cocktails and networking.